As a sales training and consulting company, we’ve seen numerous instances of sales reps who fight coaching. 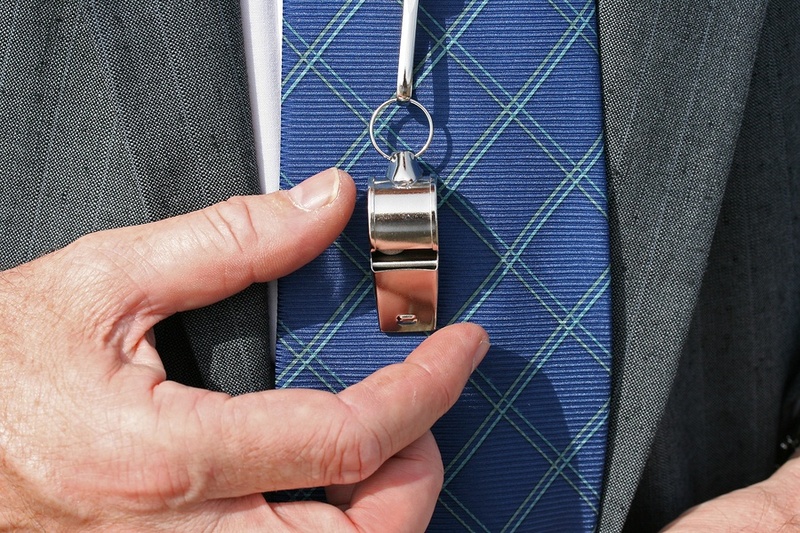 Whether they’re tenured, proven reps or simply don’t see the need to change, they shut down when the sales manager tries to coach them. It’s a tricky situation, but it’s one that can be alleviated just as a client’s seemingly intractable objections can be overcome. Reframe your conversations around collaboration, rather than punishment and one-way communication. In the cult classic workplace comedy Office Space, employee Peter Gibbons is repeatedly chided from all quarters about using the wrong cover sheet in sending TPS reports. While obviously an extreme example, it offers a useful lesson for sales managers – namely, coach to the issues and behaviors that are most pertinent and critical, and let the comparatively minor issues go. As an example, let’s say you’re the manager of a call center that engages in outbound sales of insurance policies. One of your sales reps, who consistently makes quota, frequently does so by not being completely transparent about the terms and conditions. You could harangue them about always being fully transparent to avoid unintended ethical blunders, but that’s likely to put them on the defensive. A better way is to talk to the sales rep and find out when and why they’re taking that shortcut. Perhaps it’s because you’ve set your quotas so high, the rep feels pressured to convert by any means necessary, so they take the most expedient route. In that case, you’d want to look at the rest of your team and see if less demanding quotas would result in more long-term subscriptions, rather than cancellations once clients see the rep left out critical terms and conditions. Or perhaps the rep are themselves not aware that they’re not being transparent, in which case you’d either need to train them on the insurance policies (if it’s their incomplete product knowledge that’s causing the issue) or coach them on full disclosure during the sales calls through things like roleplays and review of call recordings. Notice that neither of those situations involves just telling the sales rep they need to be more transparent. Instead, they ask the sales rep to partake in the coaching process by identifying the source of the problem. Taking this approach lowers the rep’s defensiveness, and instead of a sullen sales rep annoyed at being taken to task, you have one of two outcomes: a better sales forecast and quotas for your team, or an uncovered true problem that can now be addressed. Look for the root cause. This is essentially already covered above, but instead of hammering on the issue you see, look for why the issue is happening. Behaviors and data points (such as failing to meet KPI standards) are often a symptom of the problem and not the actual issue in and of itself. By focusing on discovery of the cause, which in some cases might have nothing to do with the red flag, you can address the hidden problem, thereby alleviating the trouble you first spotted. A classic example of this is the top-performing sales rep who suddenly nose-dives due to stresses in their home life. Coaching to their performance drop would likely only add to their stress and further the downward spiral, whereas finding out the real cause can lead to other corrective action, such as helping them find a mental health professional to work with in this instance. Position the coaching as a chance to grow and become even better. This one’s for the proven sales rep who may have some validity in their argument that they’re performing well, so why should they change? Acknowledge their successes and point out that the coaching can help them become an even better performer than they already are now. Casting it in these terms shifts the nature of the coaching from corrective action (which the sales rep might perceive as coaching’s purpose) to an opportunity for growth and furthering their career or increase their commission through more deals closed, etc. Consider the possibility that the sales rep might be in the wrong spot. If you’ve tried all of the above options and it isn’t working – either the sales rep continues to push back against the coaching, or they’re trying and it simply isn’t working as intended, ponder the idea they might not be in their best role. In that case, a job change might be in order – for example, moving from a SDR role to account management, which might better suit their skills, talents, and interests. Letting an employee go should only be a last resort option after everything else has been tried, or if their attitude is so toxic, it starts infesting the rest of the team (also one of the very few instances where you’d want to let a top performer walk – no matter how amazing they are, the contagion they spread to the rest of the team hurts overall productivity and revenue generation far more than the singular success of the individual first class rep). Keep in mind that data is meant as evidence to support your discussion - not serve as your lead and focal point. We often see sales managers focus on metrics and KPIs in coaching, usually because that’s the criteria they themselves are judged by in discussions with the senior leadership of the business. But that’s a sales coaching mistake – telling sales reps they need to improve their numbers is only helpful insofar as setting a quantifiable benchmark or goal. It does nothing to provide them with a map of how to get there, or specific behavioral modifications the rep needs to enact in order to show improved performance. Coaching recalcitrant sales reps is never an easy ask of sales managers but following the above guidelines can reduce the risk of reps turning into immovable objects who refuse coaching. And in the right situation, they can lead to betterment not only of the reps in question, but the team as a whole.